Sonoma Valley is home to some of the world’s most acclaimed Chardonnays. In the Los Carneros AVA, cool climate Pinot Noir and Chardonnay are hot items. 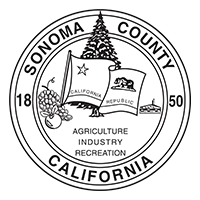 Sonoma Valley farmers are making good on the county’s commitment to 100% sustainability by 2019. Yule love the amazing winetasting, shopping, dining and dazzlingly light display on the Sonoma Plaza. This dog day afternoon is guaranteed to elicit some serious tail wagging. An overstuffed chair, a glass of great wine and a crackly fire. Yes, please. An epic day exploring Moon Mountain District, Sonoma Valley’s newest (and highest) AVA. Swing by Sonoma Plaza this holiday season for a dazzling display of festive luminescence. Tour the wineries with lots to do outside, from gardens and games to live music.